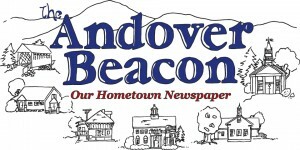 I was interested to read former SAU 65 School Board Member Joe Mendola’s letter in several local papers supporting New Hampshire Legislature candidates Natalie Wells and Terry Cox and advocating unlimited school choice. Neither Joe Mendola nor Representative Natalie Wells seem to care that State support of private and religious school choice reduces the payments the State makes to our public school districts and increases your property taxes since the towns have to make up the difference in costs. Public Schools have fixed costs even with a reduced school population such as teachers’ already inadequate salaries, building maintenance, security, sports, and other expenses such as unfunded mandates. NH State Senate Bill 193 would have created a private school voucher program open to any public school student. It is estimated that this program would drain up to 100 million dollars from school districts over the next 11 years. There is also the probability that State support of private religious schools is unconstitutional. Furthermore it has been found that charter schools, private schools, and home schooling have very limited State supervision. There is no assurance that students outside the public schools will have the necessary education to compete in today’s increasingly complicated world. It seemed that the zombie voucher bill, Senate Bill 193, was dead after being referred to Interim Study last May by the NH House but it is once again being considered in committee and will probably emerge little changed in the next legislative session. If you elect Ken Wells and me to the NH House on November 6 we will do our best to see that this bill is permanently killed. Furthermore we’ll work to see that the State finally fulfills its promise made in the 1990s to ensure all public students receive a good 21st century education without regard to local property values.